One of the most common questions about VA loan limits is about the maximum a Veteran can borrow with a VA loan. Contrary to popular belief, there is no maximum VA loan amount. There is a maximum you can borrow without a down payment. For any loan above the published VA loan limit, the borrower must pay 25% of the difference between their loan amount and the loan limit. Read on for further details and how to qualify for a VA loan above the lending limit. The VA guaranty does not refer to any type of guaranty that you will be approved for a VA loan. An applicant must meet VA home loan guidelines as far as income, assets, credit and property attributes. The VA guaranty is the Veteran’s Administration’s promise to pay the lender, usually up to 25% of the loan amount, for losses if the loan goes into default. For instance, let’s imagine a person defaults on a VA loan for $100,000. The home is foreclosed on and needs to be sold. Since foreclosures usually net lower sales prices than regular sales, the lender will likely not recoup the full $100,000. So, imagine that the lender only nets $75,000 on the resale. The VA will pay the lender $25,000 (usually up to 25% of the original loan amount) to make up the difference. Because of the VA guaranty, a lender can issue a VA loan at 100% of the value or purchase price. Without this guaranty, the home buyer would need a large down payment. Click here to check your maximum home purchase price. Rather than calling VA’s limits “loan limits,” it’s more accurate to call them “guaranty limits.” These limits are the maximum amount or percentage of the loan that the VA will pay the lender in case of default. What if my Loan Amount is more than the VA limit? It’s true that there is no maximum loan amount you can finance with a VA loan. Here’s why: VA puts a cap on the amount it will guaranty, but does not put a cap on the amount you can buy. For instance, let’s imagine you live in a county with a maximum guaranty of $484,350. You could purchase a home for a purchase price $100,000 over the VA limit. Click here to get started on your VA home loan. When you purchase a property for more than the VA loan limit, you have to come up with a down payment. Your down payment effectively “guarantees” the portion VA doesn’t cover. In the example above, you would come up with 25% of the $100,000 – the amount by which you exceeded the VA limit. 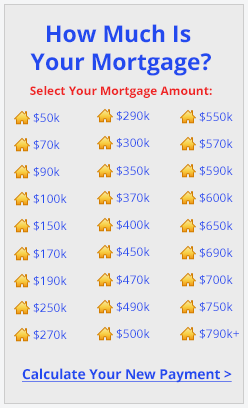 So, in this case, you would need a $25,000 down payment to buy the $553,100 house. Using this formula, you can see that there is no limit to the purchase price of the house, as long as you have the down payment required to fill the gap. Talk to one of our VA home loan experts if you may need to make a down payment on a home you’re interested in. The limits are based on the county where you want to buy a home. These county limits can change every year, or even multiple times per year based on Congressional action. But typically, limits do not change mid-year. A chart offered by the Fannie Mae lists the 2019 VA loan limits in various counties throughout the United States. VA uses the same limits as Fannie Mae for maximum loan amounts. For any county that isn’t directly listed on the chart, the loan limit for 2019 is set at $484,350. There are many counties that qualify as “high cost” areas where the VA guaranty limit is higher. For instance, in Los Angeles County, California, the maximum loan amount the VA will allow with zero down payment is $726,525. The highest VA limits are available in Honolulu, Hawaii. Remember, eligible veterans can purchase homes above these limits, but will have to come up with a small down payment to do so. Check VA loan guaranty limits in your county by speaking to a VA-approved lender. There are also limits on what VA will guaranty based on a veteran’s entitlement. The standard entitlement for an eligible veteran is $36,000. If a veteran has this amount, then he or she can purchase a home for up to the county’s VA guaranty limit without a down payment. The entitlement amount is a little misleading. The maximum VA guaranty limit used to be $144,000, which is where the $36,000 number came from ($36,000 X 4 = $144,000). However, with rising home prices, VA increased guaranty limits. The actual guaranty limit for a $726,525 home is $113,275, for instance. But the same $36,000 is used to reflect the fact that the qualified veteran has full entitlement and get a loan up to the county limit with no down payment. In some cases, a veteran can use part of their entitlement but have some left over for an additional purchase. For instance here’s an example if a veteran purchased a home but only used $10,000 of his or her entitlement. Entitlement Available x 4 = Maximum loan without a down payment. $103,275 x 4 = $413,100. In this case, the veteran would be able to purchase a $413,000 with no down payment. If you’ve used a part of your entitlement, ask your lender about what purchase price you can buy without a down payment. VA entitlement can be a complicated issue and the formulas above may not apply in your case. Click here to check today’s VA loan rates. There are certain circumstances in which entitlement can be restored. Generally, if you have sold the home you purchased with a VA loan, and the VA loan has been fully paid back, you can have your entitlement restored. There may be a one-time only restoration available if you have paid off your VA loan, but still own the home. In both these cases, you will be subject to a subsequent use VA funding fee if using your VA home loan benefit again, usually 3.3% of the new loan amount. 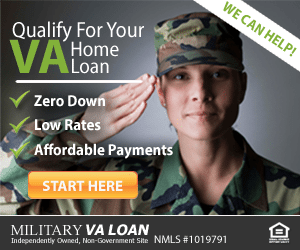 VA loan rates are low and the lending process is fairly simple. Get started today by completing a short online form here.